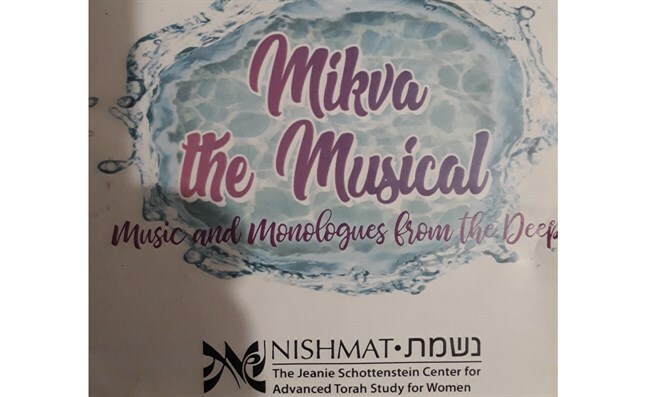 Nishmat, an advanced institute in Jerusalem for women's Torah study trains halakhic advisers on family purity, while the play"Mikva the Musical" sings its songs and tells its stories. A meeting of the Torah's laws and spirituality, just for women. Through the ages poems and songs have been composed in praise of the traditional role played by the Jewish woman and mother, most notably King Solomon's "A Woman of Valor" at the end of the Book of Proverbs. Some of today's feminists would not mind foregoing the role-centered praise in exchange for what they consider an "egalitarian" Judaic mode – i.e. assuming halakhic roles traditionally filled by men. In my view, they are missing the point. An accurate definition of the Torah's view on gender is "equal but different"– same abilities, same standing before G-d, but differences in the ways to try to be closer to Him and observe His laws. Not at all an egalitarian issue. The Jewish woman was given special status by three commandments that it is her responsibility to fulfill: Lighting the Shabbat candles, separating a portion of dough for the Temple when baking bread (today it is burned) and the observance of the complex laws of what is termed Taharat Hamishpacha, family purity. What stands out is that the first two mitzvoth can be performed by men if the situation warrants it and there are injunctions for men regarding family purity, but only women perform the mikva (ritual bath) immersion that grants a spiritual and ritually pure aspect to the love and intimacy of a married Jewish couple. And adhere to those complex laws of ritual purity Jewish women do and did for millennia, sometimes with immeasurable sacrifice And it is not only responsibility – it is also trust. The reliance on a Jewish woman's integrity and desire to obey G-d's laws has always been the key concept in family purity because there is no supervision of her halakhic stringency except for the actual immersion when a mikva facilitator ensures that it is properly done. Many women whose homes are not observant light Sabbath candles and adhere carefully to the laws of family purity. Since the purity of the Jewish family and Torah study are the foundations of Jewish continuity, there is no higher level upon which Jewish women can be placed than that of entrusting them with the most crucial laws regarding family purity. However, there is room, as there always has been, for halakhically acceptable, non-confrontational change as society changes. This brings us to the most remarkable accomplishment of Jewish women in today's world - the opportunities now available to study Torah, to help uphold the second basic foundation of Judaism in their own right, in addition to encouraging husbands and sons to study Torah (there is a difference, not relevant to this article). And there is much reason for pride in the way today's observant women have added that truly significant form of Jewish feminism to their life goals. The two pillars, family purity and Torah study, are closely connected because as with any mitzvah, halakhic questions arise. For centuries, when there were individual halakhic questions regarding ritual purity, women would turn directly to learned male Torah scholars for answers. They did so, although that was often uncomfortable, because they wanted the mitzvah entrusted to them to be observed to the letter. 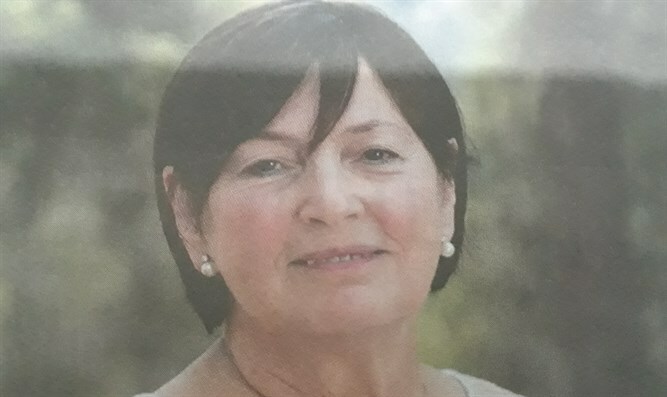 A seismic change affecting family purity observance - once doors to Torah study opened for women - was the brainchild of US-born Jerusalemite Rabbanit Chana Henkin. A non-assuming and learned dynamo whose husband is a well known halakhic arbiter, she built a program training women in the laws of family purity on such a high level that they can be turned to with halakhic questions, this with full rabbinic approval. These "yoatsot halakhah," halakhic advisors, pass on questions to an accepted roster of rabbis when necessary. Nishmat, the advanced Torah study center for women in Jerusalem, established and headed by Rabbanit Henkin, was the perfect venue for the program. The idea took off and by now has become a service taken for granted by women observing the laws of family purity, many of whom cannot imagine how women managed beforehand. Nishmat's next logical step was a hotline for questions, so women would have someone to turn to at any time to get help in halakhic issues relating to gynecological problems and procedures, pregnancy, prenatal testing, and birth, fertility treatments, family planning, menopause and more. Manned by the trained halakhic advisors, anonymous and discreet, this is what Nishmat's program is famous for. Something intangible happens when women go the mikva to perform the mitzvah of immersion. They feel the spirituality, the cleansing of soul and body, but they also feel this special camaraderie with one another: This is ours, our experience, it belongs to us, it is for women only and can be fully understood only by women with its spirituality, joy, humor, and sometimes sadness and self sacrifice. We have our own private experience in serving G-d, but we also have a worldwide togetherness in the observance of this mitzvah and can smile, cry, laugh and joke about it together. Prolific and irrepressible writer and director Toby Klein Greenwald, of Efrat, Gush Etzion and Raise Your Spirits Theatre, partnered with Myra Gutterman, whose degrees are in Theatre Arts and Dramatic Literature, to bring that camaraderie to the stage. The two talented dramatists turned the mikva experience into a woman's only "Mikva the Musical, Music and Monologues from the Deep." Somehow, by bringing true stories of women's mikva experiences to life, the five women on stage – Adina Feldman, magnificent singer and vocal and music staging director, Malka Abrahams, Sarah Landman, Michele Gray Thaler, Yael Valier – and Riva Schertzman at the piano, manage to give expression to the insider humor, the quiet nobility, the drama and the contrasts in mikva observance. There is the woman who braves the ocean while vacationing so as not to miss her immersion date, the woman (Michele, who acts herself) confined to a wheelchair who nevertheless observes the mitzvah, the mother who accompanies her baal tshuva daughter for her own first time, the convert's emotions, the woman in the midst of fertility treatments, the hilarious Friday night subterfuges, the respect for the balanit (mikva lady) and her evolving role as someone alert to signs of family violence. It is all there, with humor, compassion and warmth because for women who observe ritual purity, as the play says, "what unites us is greater than what divides us." The inimitable Toby and Myra team wrote takeoffs on well known songs that has the audience rolling with laughter or alternately wiping away tears of empathy (e.g.The House of the Setting Sun and Tonight, tonight.). There is also a hysterically funny scene where Toby, dressed as a balanit, traverses the stage. I went to see Mikva the Musical performed at Nishmat – what more fitting place could there be? Well, actually, the play is a great idea for any synagogue or community center or any place where women learn Torah or observant women meet – and it is in English. To help, contact the directors or order performances in other places in Israel and beyond, write to toby@wholefamily.com.or click here.